The problem of pink eye during pregnancy should be dealt with promptly. This highly contagious condition occurs when the underside of the eyelids becomes irritated but the membranes over the whites of the eyes may also be affected. Pink eye, or conjunctivitis, can be caused by a virus, a bacterial infection, or allergies. It can also be caused by a sexually-transmitted disease (STD). If the pink eye is caused by a virus, antibiotics will have no effect on the condition. A sign that the pink eye is of the viral type is if the discharge coming from the eye is clear. Pink eye caused by a bacterial infection needs to be treated with antibiotics. Be on the lookout for eye discharge that is yellow or green in color. A person with the bacterial version of pink eye may wake up in the morning with the affected eye "stuck shut" due to the discharge accumulating during the night. A warm washcloth may be used to loosen the discharge and gently open the eye. Antibiotics in the form of eye drops are usually prescribed for bacterial pink eye. In the case of pink eye caused by an allergen, the pink eye will resolve itself once the irritant is removed from the person's environment. The other option is to treat the condition with antihistamines. 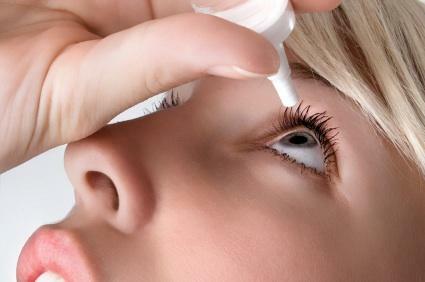 Over-the-counter eye drops referred to as "artificial tears" may be used to reduce irritation. Chlamydia, if left untreated, can cause pink eye in newborns along with respiratory tract infections. If you are pregnant and your doctor doesn't routinely test for STDs as part of your pregnancy blood work, ask to be tested for this as well. If you are experiencing symptoms of pink eye during pregnancy (or you think you may be pregnant), you need to be evaluated by a physician. He or she will be able to determine what type of pink eye you have contracted and prescribe antibiotics, if necessary. There are some antibiotics that are considered safe to use during pregnancy, while others have been determined to have an adverse effect on the fetus. Still other medication use during pregnancy is considered a "grey zone" since experts simply don't know enough to determine how its use may affect a growing baby. The risks of taking any medication during pregnancy must be weighed against the benefit to using them to treat an illness or a condition. Since bacterial pink eye can lead to more serious infections, you and your doctor may decide that a course of antibiotics is warranted. Tell your doctor if you are pregnant before being prescribed any medication. If there is a possibility that you may be pregnant, the doctor should be aware of this fact as well (This includes women who are trying to conceive). Washing hands often with warm, soapy water is a good way to prevent pink eye during pregnancy and at other times. Don't share eye drops or cosmetics with others. Use a clean washcloth and towel when cleaning your face. If you have a pink eye infection or are caring for someone who has one, wash your hands immediately after touching the affected area. Tissues or cotton balls that have been used in the infected area should be disposed of promptly. Keep sheets, pillowcases, and towels the person affected with pink eye has used separate from the rest of the family's laundry. Washing these items separately will prevent any contamination in the rest of the linens used by other family members.